Mexican officials say marines have captured a man believed to be one of the country's most wanted drug lords, Jorge Eduardo Costilla Sanchez. Mr Costilla, a suspected Gulf cartel leader, was detained in the northern state of Tamaulipas, they said. His capture follows the arrest last week of the suspected head of a rival Gulf faction, Mario Cardenas Guillen. The Gulf cartel has been engaged in a bloody battle with the Zetas drug gang for trafficking routes into the US. A Mexican Navy statement said a man identifying himself as Jorge Costilla Sanchez was arrested on Wednesday in Tampico in Tamaulipas. The Navy said more details would be issued early on Thursday. 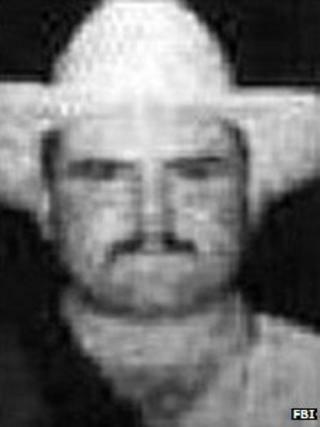 Mr Costilla, known as El Coss, is wanted by both the Mexican and US authorities. He is on the Mexican government's list of the 37 most wanted drug lords, with a reward of more than $2m (£1.2m) offered for information leading to his capture. More than 20 of the men on the list, which was published in early 2009, have been killed or captured. Mr Costilla, who had been a local police officer in the city of Matamoros, joined the Gulf cartel in the early 1990s. The cartel has been weakened since 2010 when relations were severed with the Zetas, its former enforcers, who are now one of Mexico's most powerful drug-trafficking organisations. The gang also split into rival factions in 2010 after the then head, Antonio Cardenas Guillen, was killed in a shootout with troops. The latest arrests come during the final months in office of President Felipe Calderon, who launched a crackdown on the cartels in 2006. Combating drug-related violence will be one of the main challenges for President-elect, Enrique Pena Nieto, who will be sworn in on 1 December.